Should I Get Another Dog After My Dog Died? Many pet owners wonder if they should get another dog after their dog die. Here are a few things to consider when you’re deciding if it’s time to adopt another dog. The Dog Selector: How to Choose the Right Dog for You by David Alderton will help you decide if you should get another dog – and what type of dog is right for you. A reader left this comment on my article about surviving your dog’s death: “I lost my 9 month old boxer puppy today to a seizure, and I’ve been feeling really guilty about it…as much as I feel I could have done something, there’s really nothing I could do about it. My dog died in my arms this morning and I can’t stop thinking about him. There’s no right or wrong answer on when it’s time to get another dog, but the following tips may help you decide. You don’t have to be 100% healed before you adopt another dog, but you should give yourself time to mourn your loss. Your dog’s sudden death is a traumatic, sad, and even life-changing event. It’s important to work through the early phases of mourning before you start a new relationship with another animal. Remember that different people heal from their dog’s death in different ways. Some people may need days or weeks to mourn, while others may think forever is “too soon” to get a dog. Remember that you’re not betraying your dog who died. 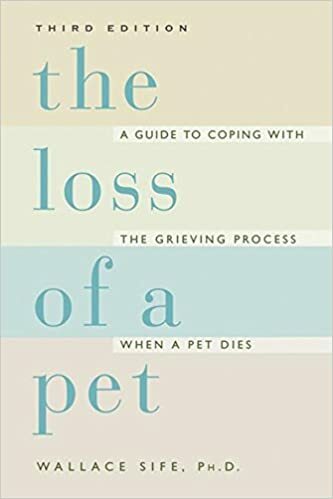 Timing is everything when considering whether to get a new pet,” writes Wallace Sife in The Loss of a Pet. “You must be ready for the new relationship, or both you and the new pet may suffer because of your underlying resentment. We could be hesitant or even fearful because it feels like betrayal to the deceased pet, even though it isn’t.” Getting another dog isn’t betraying the dog you loved, so there’s no need to feel guilty. Guilt is for when you do something wrong, and you didn’t do anything wrong when your dog was alive! You took excellent care of him. Now that he’s gone, you yearn for another dog because dogs are a wonderful source of unconditional love and fun. There’s nothing wrong with getting another dog soon after your dog died suddenly – and there’s nothing wrong with waiting for a few months to pass. Figure out if the timing is right for you – not other people. How do you know if you should get another dog? By making sure the timing is right for you. Don’t let other people talk you into or out of getting another dog, or say it’s too soon to get one. You may not be 100% sure of your own readiness to get another dog after your dog suddenly died, but you can do certain things that will help you know if you’re ready. One of the main things are your own gut feelings. Another is to walk other people’s dogs. Visit an animal shelter or dog rescue. Don’t commit to adopting a dog yet – you’re just looking around. Do not allow yourself to be tempted to go home with a dog. This first visit to an animal shelter is about testing the waters and tuning in to how you feel. You’re still coping with your dog’s death — and if you make a hasty, impulsive decision to get another dog, you may regret it. The first visit to a shelter may be too soon to get another dog. Write down your feelings after you visit the dog shelter. “Write your feelings down, and read them again at another time,” says Sife in The Loss of a Pet. “Share them with a trusted friend. What new feelings are you beginning to have now or after the visit? Did you retain a strong memory of any of the animals you saw?” Feeling drawn to other dogs isn’t a betrayal of your dog who died – it’s a sense of compassion and kinship with a homeless, lovable animal. If you feel indecisive about getting another dog, or if you think it’s too soon to get another dog, don’t do it yet. Wait until you feel mostly positive and peaceful about adopting another dog. Do you have any questions or thoughts on your dog’s sudden death, or if it’s too soon to get another dog? I welcome your comments below. What Your Favorite Dog Breed Says About You is one of my most popular articles on The Dog Blog. Give it a read – maybe it’ll help you decide if you should adopt a dog – and what type of dog suits you.